For this week, Clare and I tried to throw a dinner party for just twenty bucks. That’s three courses for four people, and as it turns out, plenty of leftovers (the number of folks at the table, I should add, was restricted by room and not the amount of food. I think we could’ve accommodated two more people based on the amount of food left uneaten after the meal). With the help of Clare’s mother, we came up with what was a relatively quick and simple vegetarian meal, made up mostly of various salads: watermelon salad, couscous salad, and nectarine salad along with frozen banana “ice cream” for dessert. In pricing the ingredients, we didn’t include the spices or oil and vinegar under the presumption that these can (and should) be found in every kitchen. And, like the 30 Bucks a Week blog, we decided not to count the accompanying adult beverages. I've been asked about the status of Burly's Burgers Fries & Shakes, which closed after a kitchen fire a few weeks back. I stopped by the restaurant today as work was being done. The owner was out, but I was told that Burly's should reopen in about a week. I'll keep you posted. I spied with my little eye another burger joint near the U of M at 786 Echles called Stuffy's. It opened August 9th. 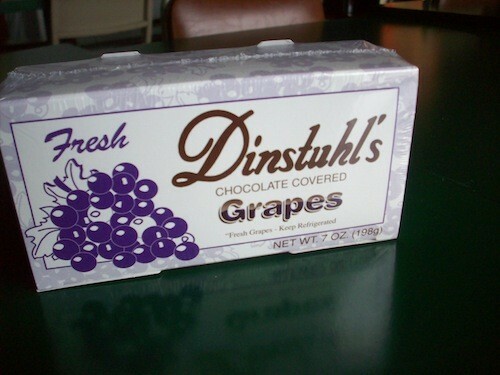 I had spotted the chocolate-covered grapes at Dinstuhl's some time back, and, honestly, the candies didn't sound too good to me. But, I was intrigued enough to finally pick up a box. The menu at Slider Inn notes the restaurant is in its soft-opening phase and still working out the kinks. 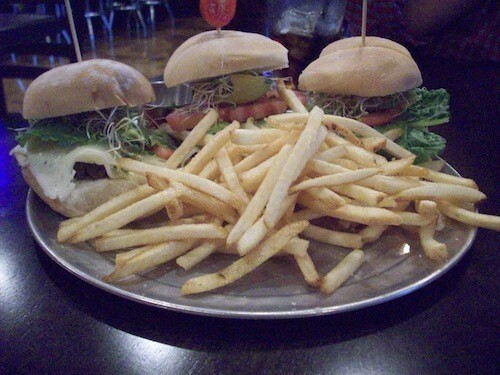 Indeed, during our visit today, there were some hiccups in the service, but the veggie slider ($7.99) I had was fantastic. 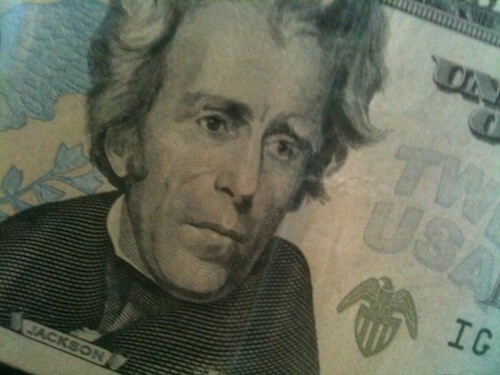 Twenty bucks doesn’t go far these days. So is it possible to survive on $20 of food for a week? Throw a dinner party? My wife, Clare, and I are setting out to discover just what can be accomplished with $20 a week. Simple enough, right? I feel like it’s an especially fitting endeavor for us considering we’re newly-weds and still students (and Clare’s an artist to boot). So we’ve been living on a pretty tight budget to begin with. But not quite this tight. For this week, we begin our experiment with $20 worth of a single ingredient, and make as many dishes featuring that ingredient as we can. Since it’s summer, and with their ever-increasing popularity in mind, we’ve chosen the always-delicious avocado. It should be noted, before I jump into this thing, that this is an idea loosely based on the stellar 30 Bucks a Week blog by Brooklyn couple, Tina and Phil, in which the basic premise, as the name implies, is to live off of $30 worth of food each week—not counting dining out and booze. A lot of bookclubs are as much about the drinking and eating as they are about books. 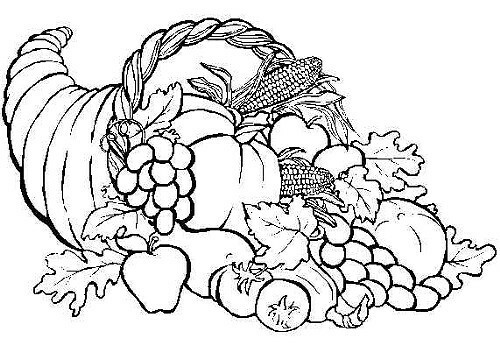 For the longest time, I really tried to bring a dish that corresponded with the books we read for my bookclub. It was an apple pie for the Lincoln biography Team of Rivals and donuts for Olive Kitteridge (not a single donut was eaten). Anyway, this is not about me. 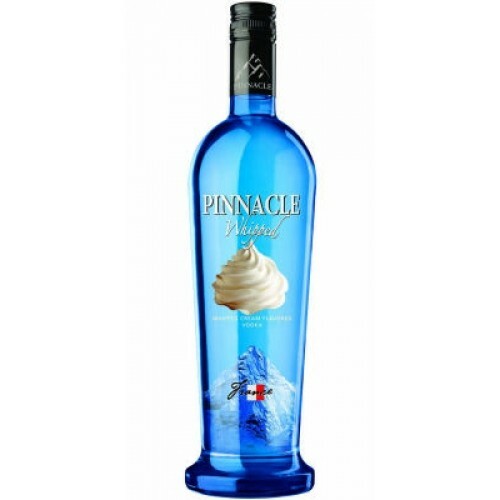 It's about Pinnacle Whipped Cream vodka. 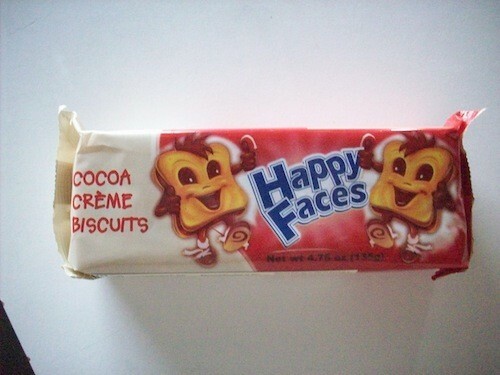 And your Happy Faces cookies ($1 at Walgreens). On Sunday, Pam and I saw the New York Times documentary Page One, and, afterwards, we discussed the movie over dinner at Amerigo. One of the things (among many) that struck Pam and me about Page One was that the archival footage of the NYT newsroom was more or less the same as the contemporary footage of the NYT newsroom. Make of that what you will. 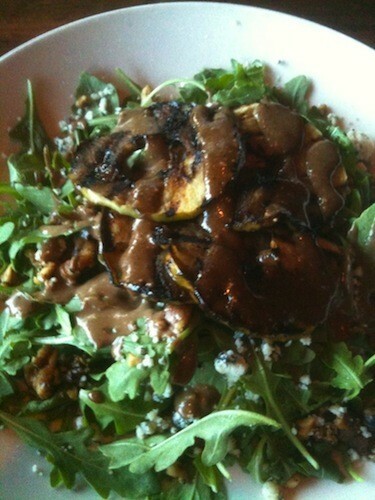 And speaking of the same, Pam zoned in on Amerigo's arugula salad with flamed grilled apples ($8). This had long been a favorite of hers and now it's a favorite of mine. If you can't find anything to eat at Fresh Slices just forget it and go home. You are impossible. 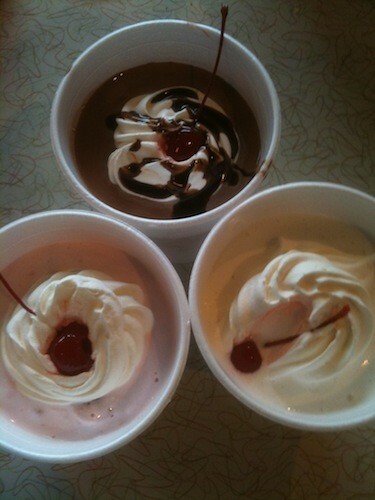 If anything, there are too many choices. 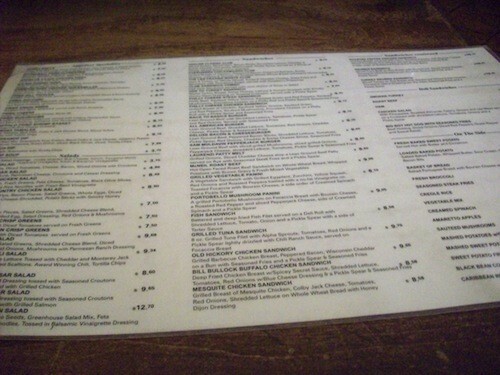 It's the Infinite Jest of menus. Banana Melon: What the What? I picked up Pam's CSA because she's out of town and to thank for this small gesture she said I could take anything I wanted from the bag. 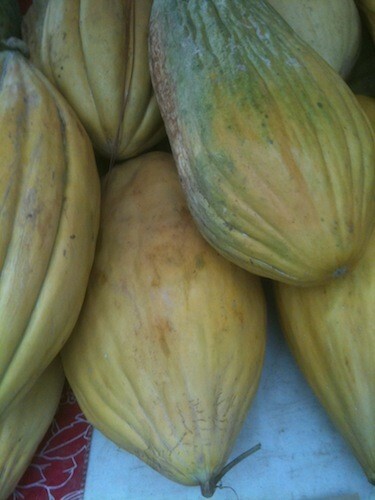 I'm going to have to go with one of these massive banana melons ($4 each from Whitton Farms). I've never seen one before. What is it and what does it taste like? I had been wanting to capture the great airplane-y grumble of the shake machine at the Arcade, but when the time finally arrived I had some technical difficulties. I stopped by the newly opened downtown Thai Bistro to pick up dinner on my way home from work. So many delicious-sounding options ... 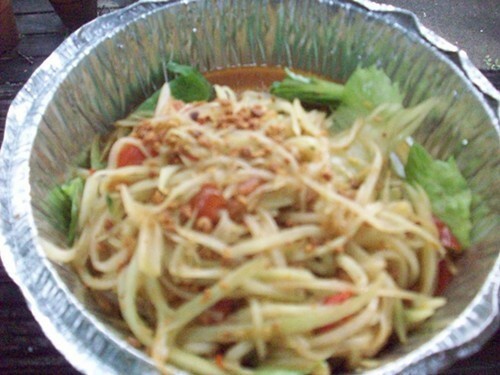 I started with the Som Tum salad ($7.95), described on the menu as a "mix of shredded green papaya, carrots,tomato, and peanut with spicy lemon sauce, served on a bed of mixed greens." Coworker Bianca Phillips' personal blog Vegan Crunk is up for Best Blog in the 2011 Veggie Awards hosted by VegNews Magazine. And, while the print edition of Gourmet has gone kaput, it still lives on in Gourmet Live. They recently did a series on barbecuing, including a story on the Danish team competing at Barbecue Fest (also) and a round-up of the nation's best barbecue restaurants (and, yep, a Memphis joint made the list). You can download their free app from iTunes. Too, recording artist Rick Ross is bringing the first Wingstop to Memphis. It will be at 7706 Winchester. Last week, Pam and I checked out East Tapas and Drinks, the stylish new offshoot of Wang's Mandarin House that serves small plate dishes and cocktails. For drinks, I got the Sake Blossom ($9), which is sake with St.-Germain, a liqueur made with elderflower. 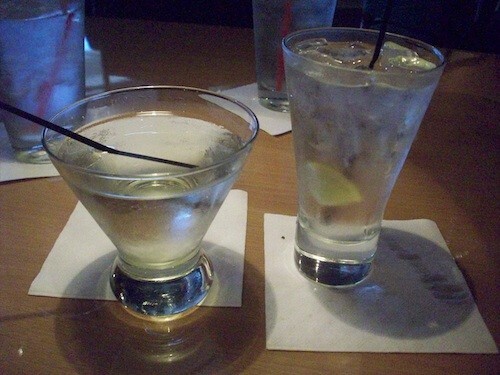 Pam's drink was a gin and tonic with St.-Germain ($9). I've never really been able to appreciate flower-enhanced food and drink, but this was good and not a bit perfume-y. The first (and last) time I had a “Lazy Cake,” the melatonin-laced brownies sold in gas stations and convenience stores, I went home from work and passed out on my couch for six hours. 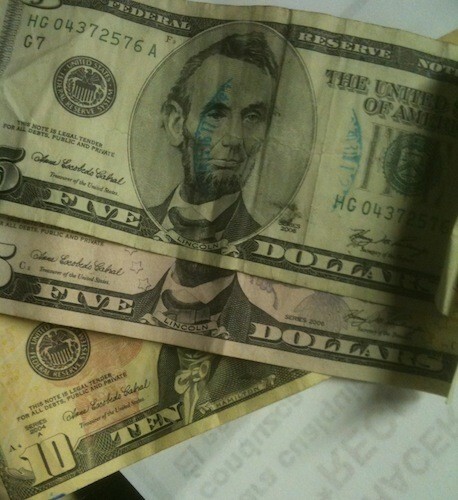 This is, of course, the desired effect of eating a Lazy Cake (whose name was recently changed to “Lazy Larry”). 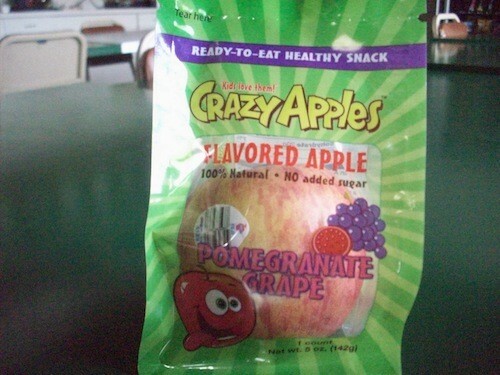 But the Food and Drug Administration is warning that it may crack down on HBB LLC, the Memphis-based company that makes Lazy Larry treats.